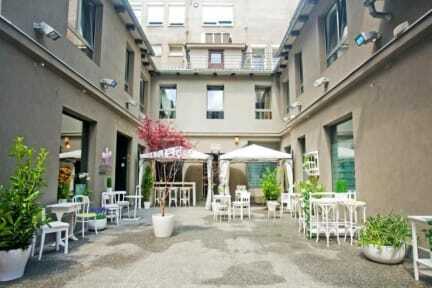 Hostel Shappy i Zagreb, Kroatien : Boka nu! One of the best hostel I stayed at. As with all Balkan hostels, the lockers are not large enough for a mid sized backpack. The facility are really modern, however they had run out of key cards, but I got a code. 6 bed dorm was airy and nice. Nice bathroom and showers. Really nice courtyard where to chill. Helpful staff and centrally, would definitely have stay here again .